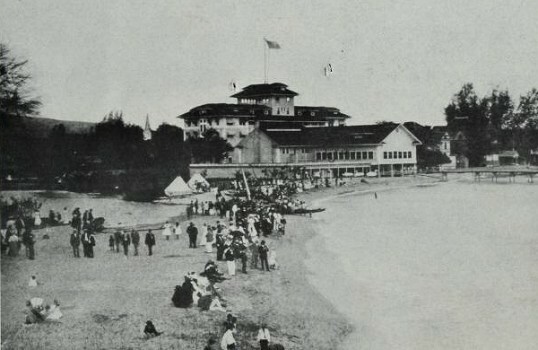 Hawaiian Jewelry & Novelty Company : Surf-riding, Waikiki, 1919. 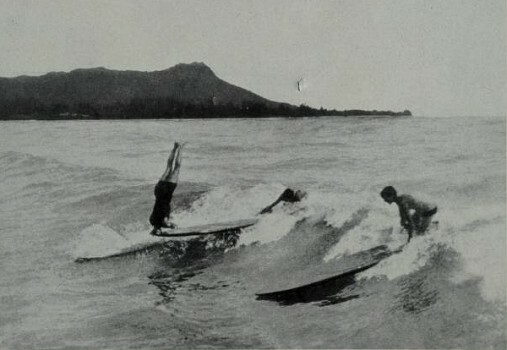 One photograph of surfboard riding at Waikiki, one rider completing a headstand. 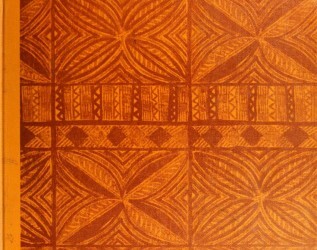 The accompanying caption is obsolete; the boards made of koa or wiliwili. The most popular of Hawaiian pastimes is surf swimming, or heenalu. In this sport the swimmers use a light board made of koa or wiliwili. With these they swim out to sea, diving under the rollers which they mount, until they reach the outer line of breakers; then, lying flat on their boards, they balance themselves upon the forward slope of the highest breaker, and ride with the speed of a race-horse toward the shore. Surf board swimming can be seen at Waikiki, near Honolulu. Probably the most beautiful beach in all the world is to be seen at Waikiki. about two miles from Honolulu. Canoes can be seen dashing in the green waves as they come rolling in from the Pacific filled with laughing natives and tourists. This famous beach is easily accessible to the city and bathing can be indulged in at night as well as day. There is not the slightest danger from undertow currents or deep water. 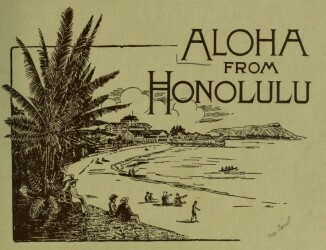 Geoff Cater (2017) : Hawaiian Novelty Co. : Surfing, Waikiki, 1919.